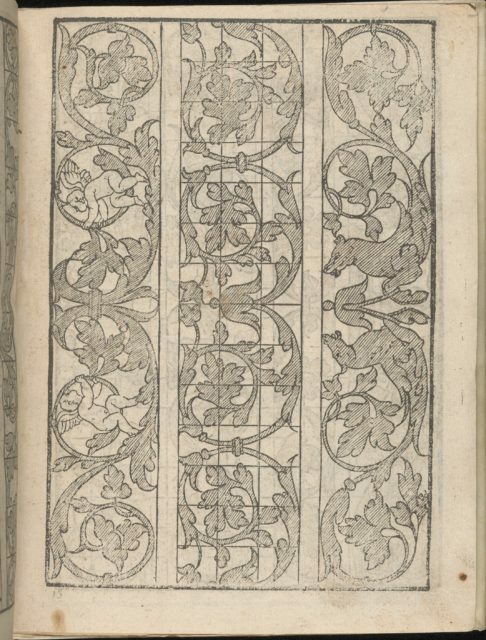 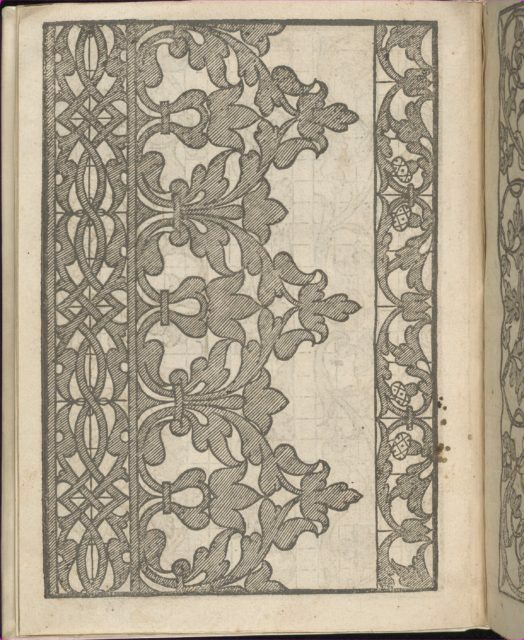 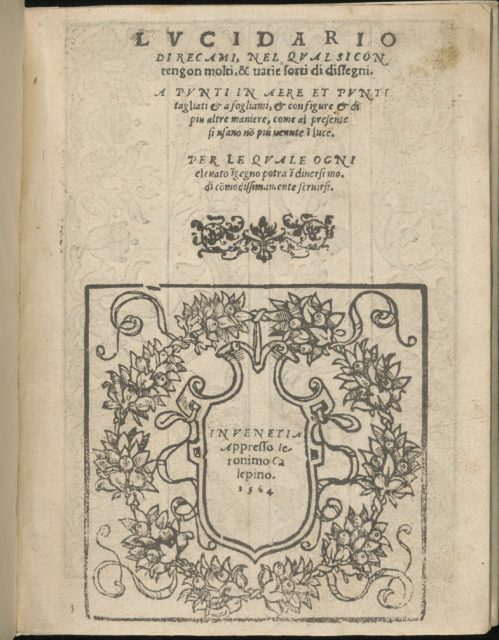 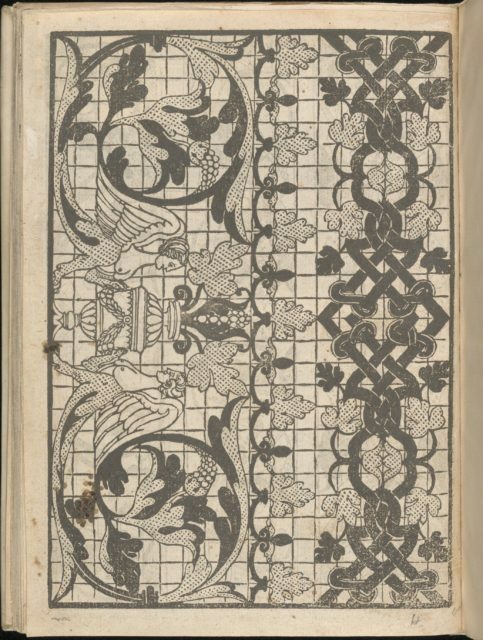 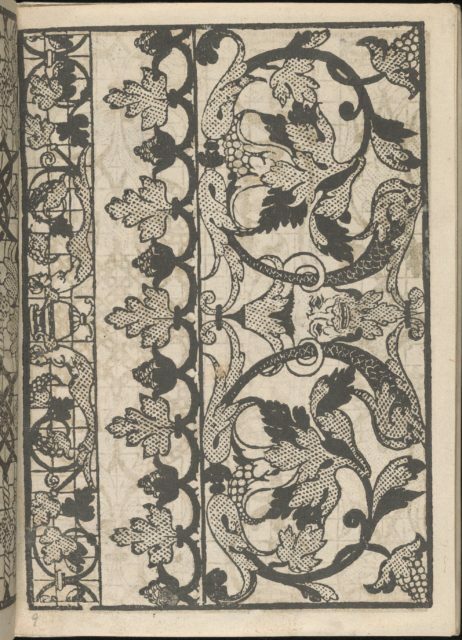 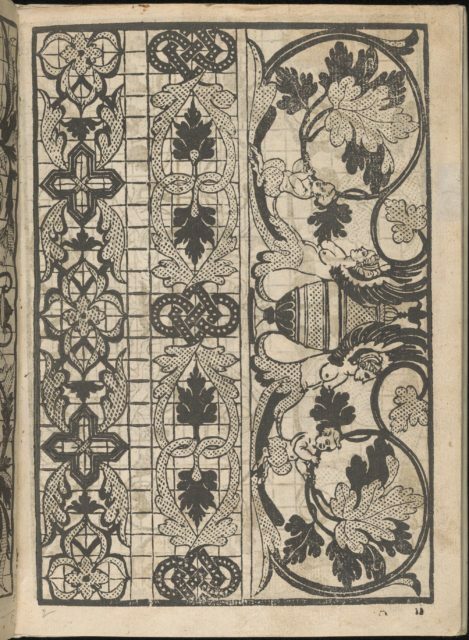 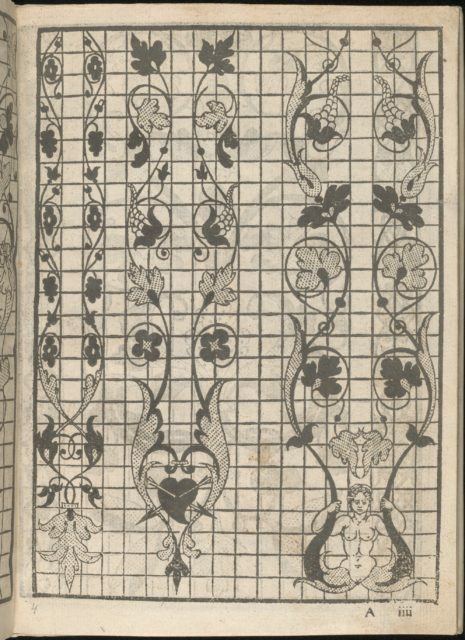 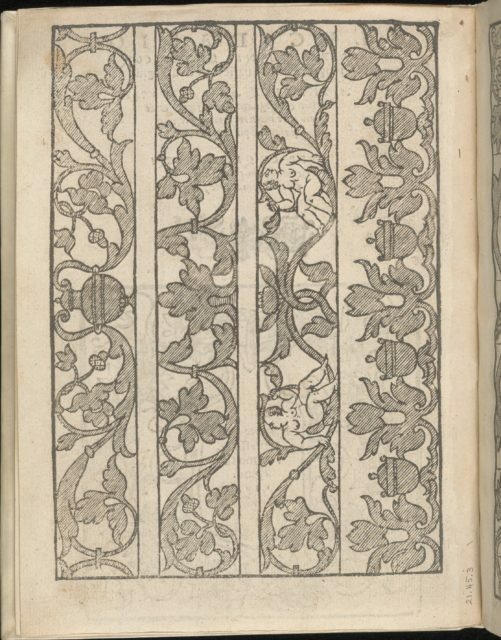 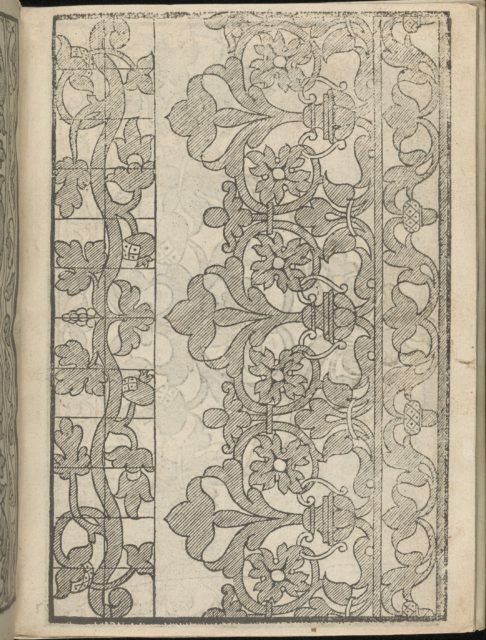 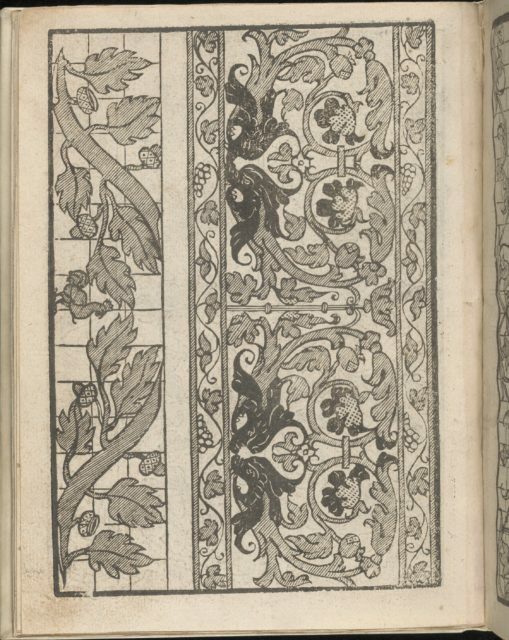 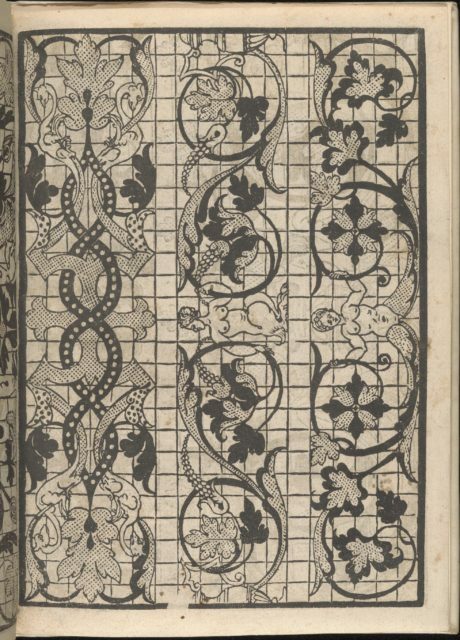 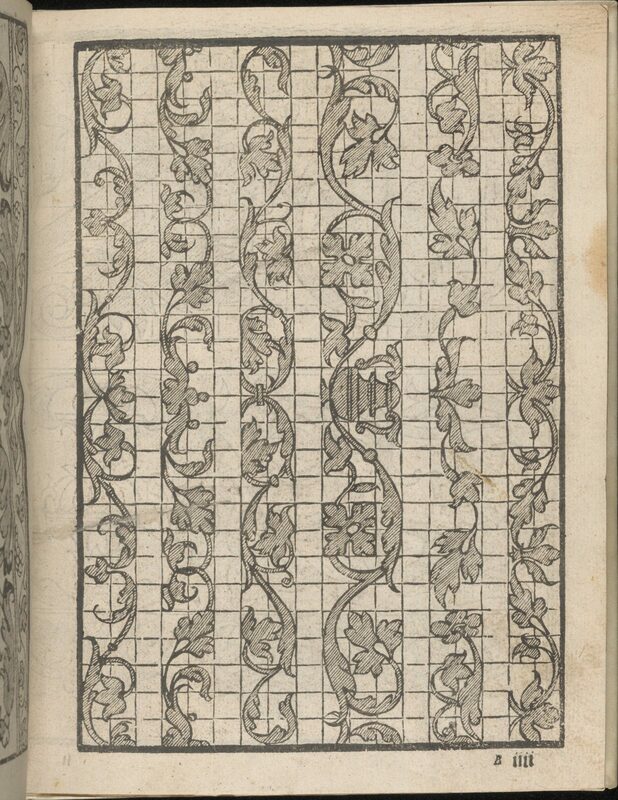 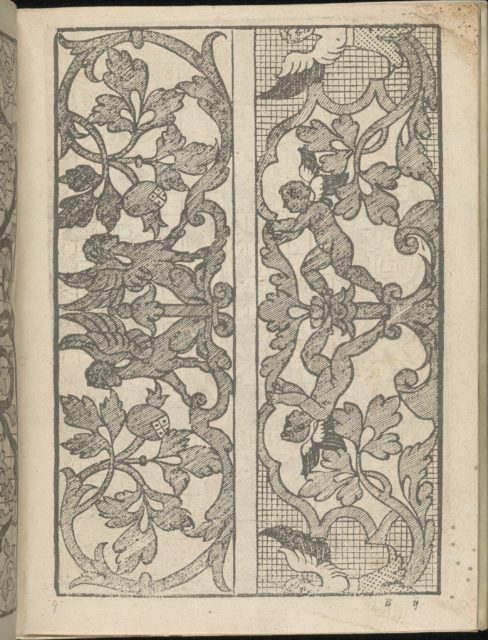 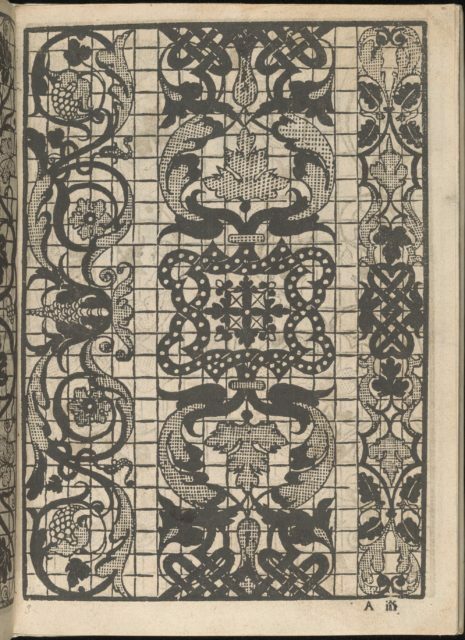 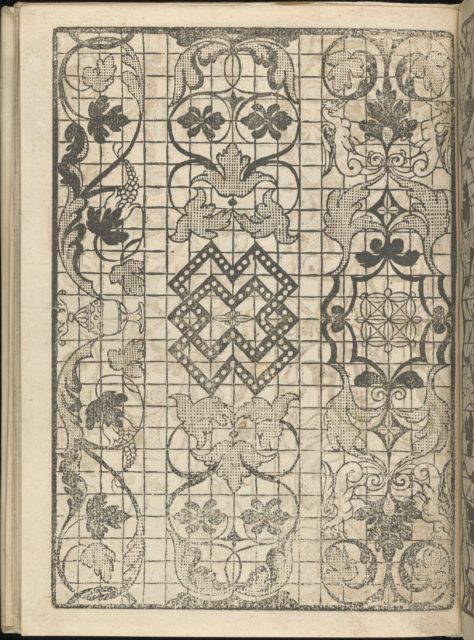 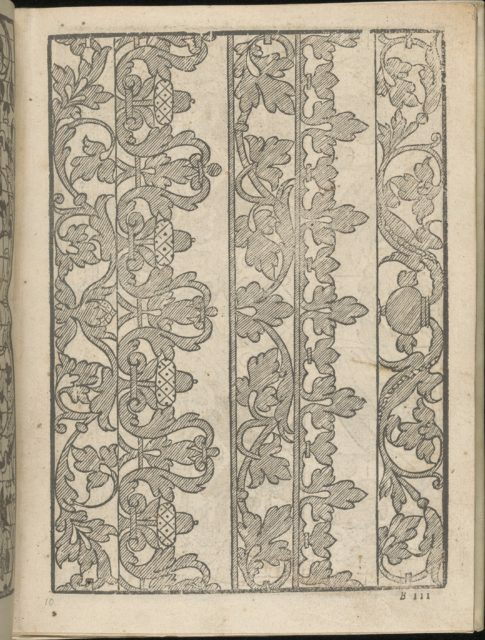 Designed by Iseppo Foresto, published by Jeronimo Calepino, 1564.From top to bottom, and left to right:Design composed of 6 vertical columns printed upon a grid. 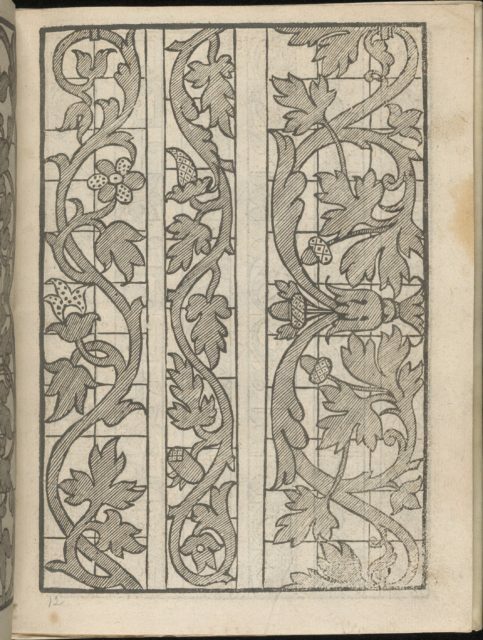 The first, second, third, fifth, and sixth columns are decorated with a similar curving vine with leaves and flowers. 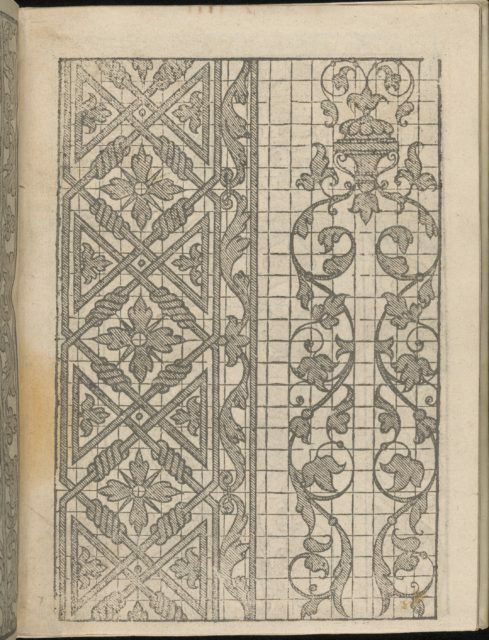 The fourth column is slightly wider than the rest and is decorated in the center with an urn and is flanked on either side by coiling vines with leaves and flowers.